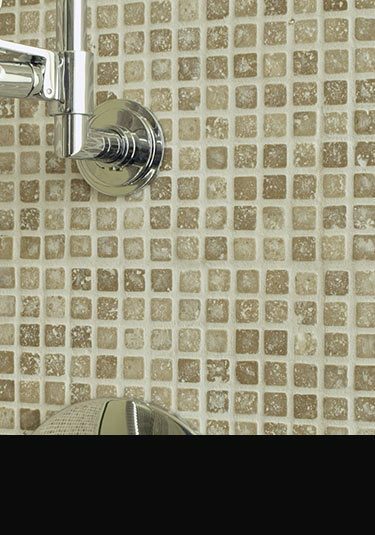 Cream stone mosaic with a softened tumble egde is an attractive choice for floors and walls. Conker stone mosaic supplied in 4 sizes which are all suitable for flooring and walls. A beige / brown tumbled mosaic in travertine marble for luxury floors and walls. These multi-coloured mosaic tiles in stone are supplied with a meshed backing for easy installation to floors and walls. Impressive solid stone skirting make in solid travertine marble.